Roll off trailers are for sale at BENLEE. We are the number one roll off trailer manufacturer in the U.S. We are the roll off trailer Manufacturer that sells to Ontario, Alberta, Canada, Houston, Dallas, Texas, North Carolina, California, PA, Indiana and more. BENLEE maufacures, Roll off Pup Trailers, Double Box trailers, 80,000 GVW trailers and more. Roll off trailers for rent, call us and we will help! We even make Heavy duty roll off trailers, which are semi roll off trailers including dual tandem. 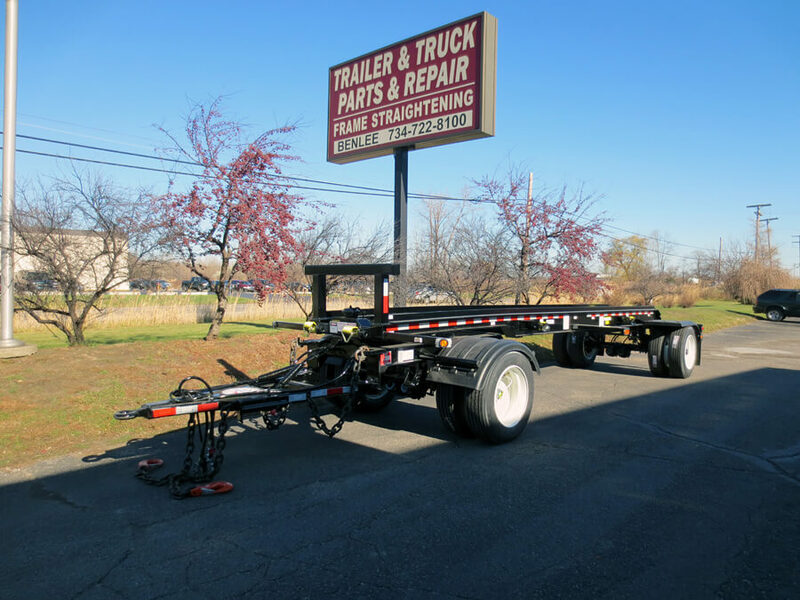 Roll off Pup trailer manufacturer right in Michigan.Of course we sell triple axle, tandem axle and more. Yes some call them roll on, roll off trailers or even roll off dump trailers. Semi roll off trailers for sale. We are a Dealer, Manufacturer. Roll off trailer manufacturer BENLEE is hiring experienced welders at $20+ per hour for experienced people. We have paid vacations, paid Holidays, Healthcare and a lot of overtime pay! We are the industry leader in Roll off Trailer sales as well as selling roll off trailer parts. We sell parts such Roll Rite, Pioneer, Gresen, Parker and more, for Luggers, Roll off Trucks and more. Roll off trailers are for sale to ship to Texas, TX. Our thoughts and prayers go out to the people of Texas and Houston. The clean up will start in a few days and large amount of equipment will be needed. OK to call us at BENLEE-734-722-8100 for roll off trailers are for sale. You can also rent a roll off trailer or roll off truck by calling Premier Truck Sales and Rental, at 216-642-5000. We are the largest manufacturer of roll off trailers and our roll off truck replacement trailer. 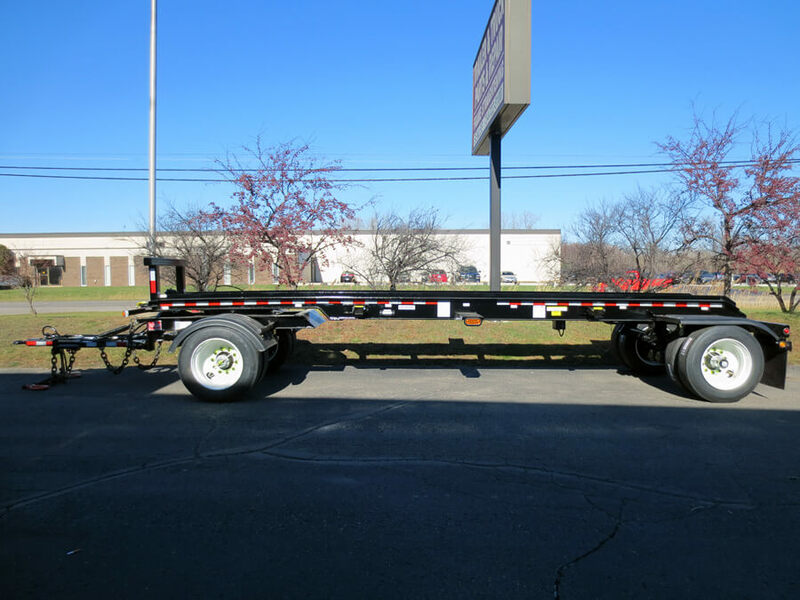 We have the rolloff trailer you need and have a complete line of roll off trailers for sale. Roll off Pup trailers for sale at BENLEE. We are manufacturers that sell direct and have trailers in stock for same day shipment or pick up, so if you are looking for a Pup Trailer, Roll off Trailer Dealer, call us, due to we are a Manufacturer that also sells roll off trailers. We manufacture “Dead” pups that have no hydraulics and we also manufacturer “Live” Pup roll off trailers, with complete hydraulic systems are for sale. Dead Pup trailers typically mean you need a roll off truck to load and unload the trailer. A Live roll off trailer can load and unload the trailer. Call us at 734-722-8100 for a quote, or see us online at www.benlee.com.